Intellectual property is often the one thing that stands between a business and its competition. It is an asset that is part of every business. Greensfelder’s team of IP attorneys stands with you as you use these assets to set yourself apart and to directly impact your bottom line. 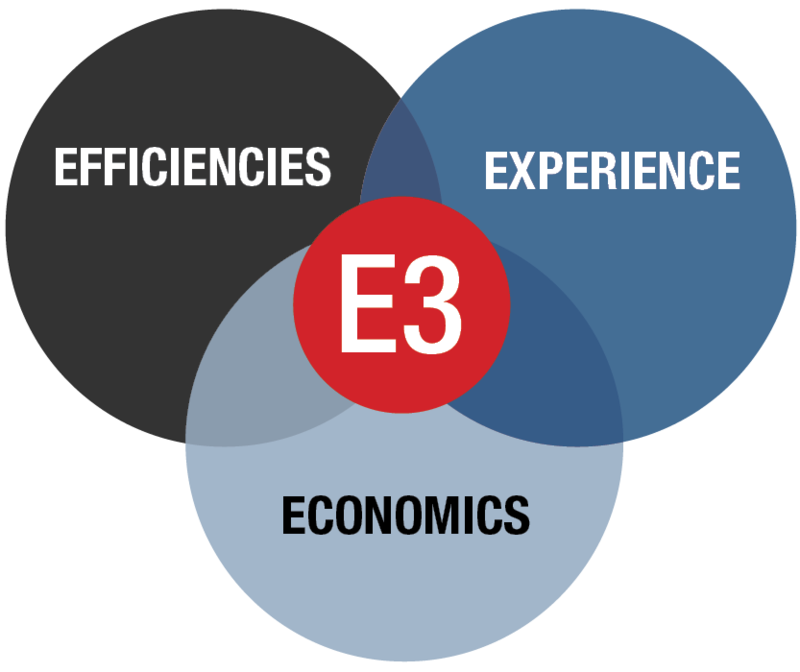 Combining experience, efficiencies and economics (E3) enables us to provide a ready resource for the intellectual property questions, issues and challenges that arise throughout your day-to-day operations. Our big picture: We understand your business and deliver a business-case-driven IP strategy that will work for you and help you protect what sets your business apart from others. Our clients value their intellectual property. Working with a range of industries, our lawyers understand how intellectual property can and should work for business, and we provide established businesses and start-ups with the protection and enforcement assistance necessary to fully leverage their intellectual property assets. Like many other business assets, IP works best when it is carefully and actively managed. Our attorneys skillfully manage your IP portfolio proactively by procuring the appropriate patent, trademark, copyright and trade secret rights and protections and by assisting your business with various licensing efforts and other transactions, acquisition and sale of IP and technology rights throughout the business life cycle. We regularly assist our clients with initial and periodic intellectual property audits. Further, when litigation or other enforcement actions are merited or arise, we’re there to guide you through the process. We handle trial, litigation, TTAB proceedings, mediation, post-grant proceedings including IPRs and reexaminations, arbitration and appeal of patent, trademark, copyright, and trade secret rights. Our lawyers will assist you in creating and maintaining an active IP management plan. From IP audits, to surveys, to maintenance programs, your intellectual property will benefit from a portfolio and asset management protocol, enabling you and your team to monitor your valuable properties, weigh the costs and benefits of continued protection of your IP estates, and assess and maintain the value of your IP. Our team members come from Global 100 law firms, IP boutique law firms, and large in-house corporate law departments. These backgrounds allow us to continually redefine best practices in how we deliver legal services to our clients. Greensfelder is proud to be an active member of the Cortex Innovation Community, an innovation hub and technology district in St. Louis. A regular rotation of attorneys, including those from our Intellectual Property group, work from our office in the Cortex 4220 building. Our goal is to support entrepreneurs and the wider innovation community by being a resource and a partner. Interview and cover feature with Kara Cenar, "The Everything Machine"
Collaboration, 3D Printing, and The Defend Trade Secrets Act - A perfect storm for litigation? Or an opportunity to implement steps now to manage this risk? "'Issue Preclusion' and TTAB Proceedings - Clarity from the U.S. Supreme Court and How it May Apply to Your Trademark Strategy"
"Is Patent 'Reform' Forcing Businesses to Seek Alternative IP Protection Strategies?" "How to Enforce Your Trademark Without Being Labeled a 'Trademark Bully'"